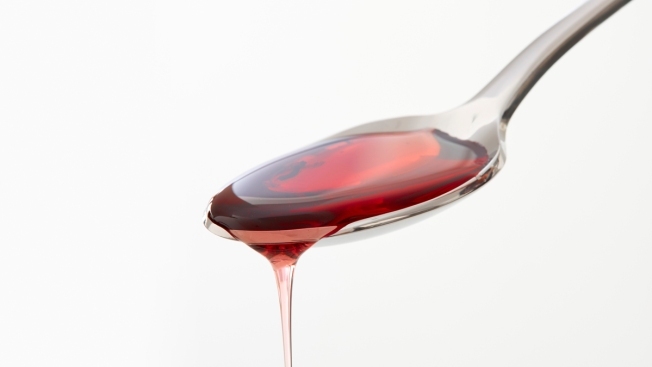 Cough syrup dripping from a spoon. The recall of an infant pain reliever has been expanded over worries that the over-the-counter medication may contain dangerously high concentrations of the drug, NBC News reported. The drug maker Tris-Pharma said additional lots of Infants' Ibuprofen Concentrated Oral Suspension, USP (NSAID) 50 mg per 1.25 mL — sold in 0.5 oz. bottles at Wal-Mart, CVS Pharmacy and Family Dollar Services — may have higher concentrations of ibuprofen than what’s on the label. The original recall late last year was for three batches of of the ibuprofen drops. The new recall includes three more batches.